We have a client in a panic today and helped quickly but thought we should help others with awareness. 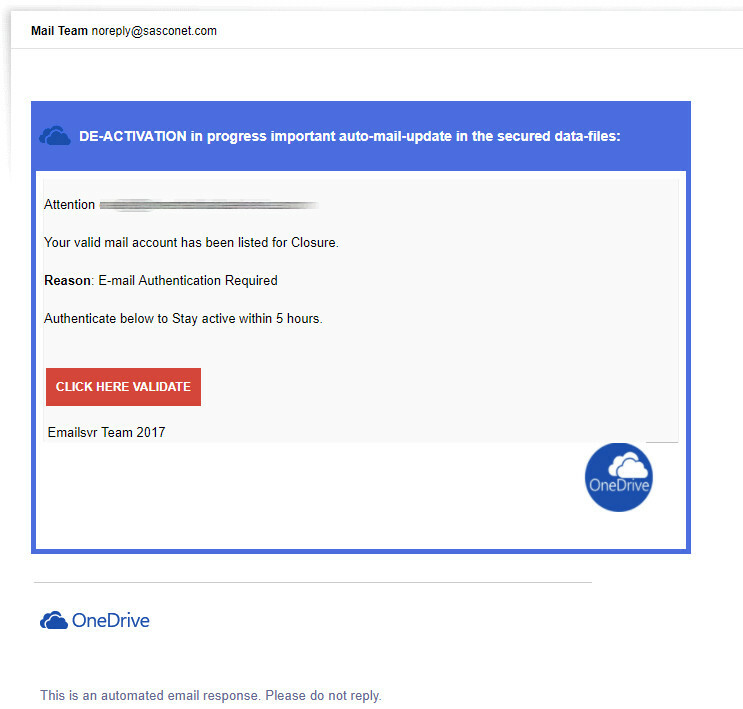 Your valid mail account has been listed for Closure. Authenticate below to Stay active within 5 hours. 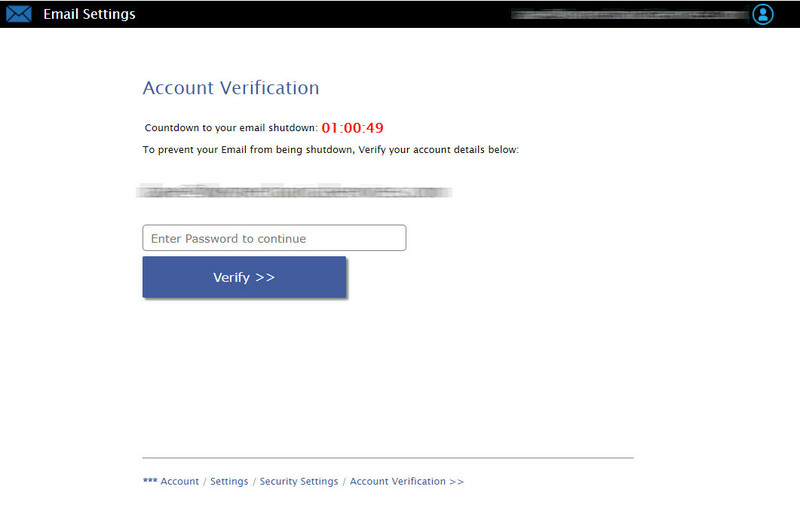 The countdown timer and everything looks to untrained to be genuine. If you DO – is this the email address used? Look at who sent the email to you! Hover on the RED “CLICK HERE VALIDATE” box and look at the website it is going to take you to! If you need help call 0121 663 0456.